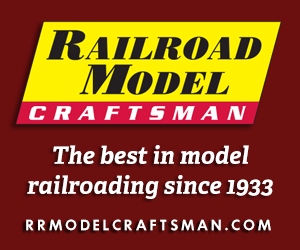 Wood, sheet stock, metal castings, paper sides, these were the noble elements of early model railroading. Was the sum of these parts worth any less because their patterns were drafted on tables with pencils and hewn by hand, long before the invention of computer-aided tooling? Even as a child, model railroading struck me as something of an endless paradox, a quixotic pursuit always at conflict with its surroundings. Admittedly, chances are good this was (and still is) merely my own warped perspective. Nonetheless, I’m rather confident that most modelers can relate to the following non-exhaustive list of “gotchas” from my own experience. Odds are high (and likely even higher if you’re reading this magazine) that if you model a certain prototype, it doesn’t actually exist anymore. This might have always been true to an extent but in today’s world, beholden to the relentless headlong rush of technology, firmly planting a flagpole from the past is derided as dangerously foolish. When I was a kid, I only wanted to model what I saw in my daily life: modern mainline trains of the 1980s, as mostly led by second-generation diesels. Arrogance of youth meant I didn’t respect steam or even first-generation diesels, because I didn’t see them, so I didn’t understand or relate to them. Naturally, I thought anyone who clung to modeling mechanical dinosaurs was too old for relevance at best, and un-hip at worst. Like most modelers, I stuck to modeling those elements that originally captivated me as a child… so decades later, I’m now firmly in that elder camp I once derided, by even fewer degrees. There are newer, modern prototypes that I have never seen. The trains and lines I remember, my kids have never seen. They and their friends rarely see real trains of any kind for that matter, so the entire exercise must seem as woefully antiquated to them as “dinosaur modeling” seemed to me at their age. And why model railroad at all? Model too seriously, and face derision for losing sight of the fact that model railroading, as a leading magazine once proclaimed, is supposed to be fun. Model for pure fun, you’re derided for simply playing around because after all, it’s supposed to be a model railroad, not a toy train. Where is the line in the balance? To that end, the strive for authenticity eventually becomes a zero-sum game because the newest models always push the limits of technology. As state-of-the-art leaps in precision tooling, smooth drivetrains, light and sound features, and paint quality becomes democratized, wish lists are unfurled: prototypes contemporary to those advances are finally unveiled in wonderful fidelity, which begets clamoring for not-so-old favorites to be retooled anew. Meanwhile, older notso- favorites might not ever be rerun, making “making do” the name of the game and the art, and rare models hot commodities. Until, the next newly tooled edition of a legacy model is announced! Then what’s old becomes new once again, if only in scale, if only for a moment, if only for a decade or so, until the next technological leap renders another once-astounding feat of miniature woefully crude and obsolete. So, why do we model trains in the first place, much less collect them in spite of prevailing opinions du jour? For me, it’s fascinating to lay hands on models from the past and consider how they were designed under decisions and shortcuts chosen to fulfil a market purpose. It is tangibly astonishing to hold a well-built wood craftsman kit and realize that, for all their faults under a modern lens, there was a time when such kits offered the only way for some cars to exist in HO. For many prototypes, this is still the case! Wood kits offered fidelity beyond what was possible with formed metal and rough castings that came before. Yet wood kits were, in some ways, the most economical means to bring a somewhat obscure or otherwise unavailable prototype to market. Of course, that didn’t stop companies like AHM and TYCO from selecting obscure prototypes to overproduce in mass quantities of plastic. How many folks saw a real Flexi-Flo hopper, clamshell coil car, or Alco C430 anyway? Yet there they are; their authenticity upon your rails still depends upon your own experience and tolerance level, and the balance of fun and seriousness. Plastic cars of the 1960s and 1970s offered superior detailing against previous efforts, albeit in inconsistent measure. Today, early Kader freight cars (sold by AHM, Crown, HOTCo, Life-Like, and others) are seen as inferior models… but compare the underframes presented on their 40-foot boxcar, clamshell coil, and flatcars to similar contemporaries by Athearn, Roundhouse, TYCO, Varney and others… and suddenly those basic Kader models become the ultradetailed Rapido Trains of their day. We went from bare metal and wood, to molded relief, to separately applied details. How standards change! This assortment of assembled wood kits is a testament to skill and patience, not all of it my own. Some of these prototypes now exist in plastic… In some cases, only in the last few years. For the most part, however, the wood holds up well. As recently as last decade that cylindrical hopper would have still had solid walkways even in plastic! Cast-offs from yesterday commanded a fair price for the art in their day. Today’s models often cause sticker shock, but will likely be cast aside someday too. Today’s models feature fine details of marvelous fidelity and infuriating fragility. Yesterday’s models employed larger tolerances and cruder detail that was far more durable. Considering how commonly those older models are found with missing parts and details, future collectors might have a maddening time finding 2010-era models with all parts intact. What effect might that have? For some people, figuring out “what” to model is a lifelong quandary: Which prototypes? Which era? Which setting? Which year? Those are the questions that start to define a collection for function, before it evolves to collecting for its own sake. But decisions are apt to change at any time and I have found myself realizing that when it comes to modeling, the question of “how” starts to creep in, and not as it relates to laying track and building scenery. “How” do you achieve the fun you want? Do you agonize over authenticity, or settle for close enough? Does nostalgia color and excuse your goals, or do you ruthlessly pursue only the best at any price? “What” do you hope to achieve from modeling by playing with trains, and “how” do you intend to accomplish this? Model for seriousness, model for fun, or buy to collect? For me, it’s a bit of a mix. I model both extremes in various measures, and my collection has come to reflect this. 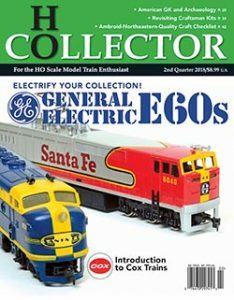 My gigs in Model Railroad News bless me with the best and newest the hobby has to offer in a given calendar year, but I still get a giddy feeling for the crude, weird, colorful, and retired aspects of the hobby. It’s impossible to pick an allegiance. Balancing limited funds and space, my collecting is mostly “functional” for the purpose of research and appreciation, to learn more about the evolution of the hobby, and to compare and contrast items on a topical basis. Properly curated, almost anything has a place and tells a story. Do all of these items make their way onto my layout? I’d be lying if I said yes… but they encourage me to indulge simpler models, and simpler goals. The few surviving photos of my early layouts reveal intent and mind space that was no less earnest, despite the toy-like colors and crude wanna-be modeler execution. On web forums I see the quaint philosophy of “good enough” executed with a charm and whimsy that still captivates, often making lavishly realistic layouts seem like so much self-indulgent overthinking, as to have missed the point of why we fell in love with trains in the first place. At some point “good enough” is truly exactly that. More than that, actually – it’s bliss. I guess I should inaugurate a scheduled excursion train mixing old and new, and call it the Quixote Special!